Can civil and commercial litigation be harmonised? Cross-Border Litigation within ASEAN provides a means of harmonising some aspects of cross-border civil and commercial litigation within the member states of the ASEAN (Association of South East Asian Nations). These aspects include the recognition and enforcement of foreign judgments and the jurisdictional bases involved in the litigation process. 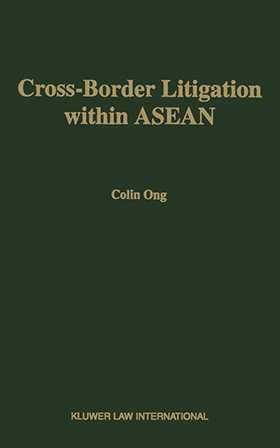 This work provides a pragmatic example that can be utilised by the ASEAN member states on how to harmonise those vital aspects of cross-border litigation and ultimately assist in the acceleration of the development of the ASEAN Free Trade Area (AFTA). As yet, no existing legal mechanism can deal with the problems and disputes of foreign private investors and businesses that aim to take advantage of the AFTA by conducting cross border transactions within several ASEAN member states. Cross-Border Litigation within ASEAN delves into the relevant civil and commercial laws of the ASEAN member states and looks at examples of problems that have been faced and overcome by courts in England and the United States and by the European Court of Justice, and their solutions. This is the first book of its kind to examine and discuss the private international commercial laws of the individual ASEAN member states and to address important business issues such as forum selection clauses, forum shopping, multiplicity of actions, and injunctive relief offered by the courts of the region.